Kristen McMenamy opened the show which delivered a sexed up display of plunging jackets, pinstriped suits an abundance of fur and embellishment. Colours ranged from dramatic black to froth pinks and neon yellows. 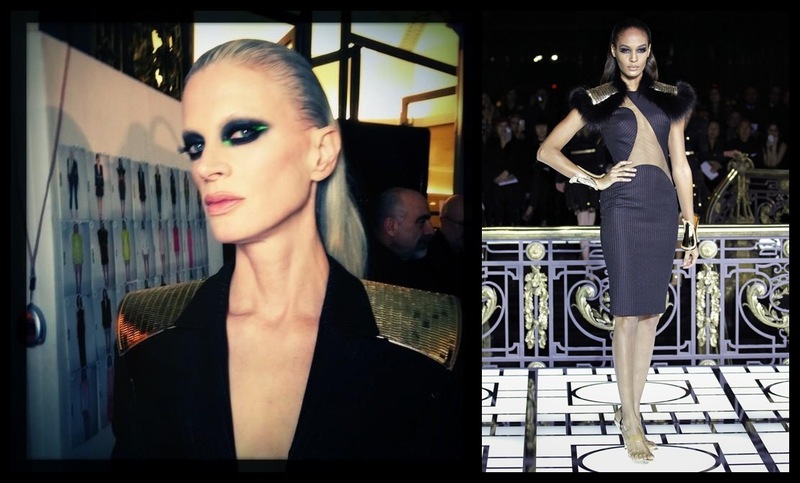 Make up was by Pat McGrath who gave the models heavy smoky eyes with a shock of apple green eye shadow to appear like the outline of butterfly wings. Next Shoes of Prey | It Should Be Illegal!